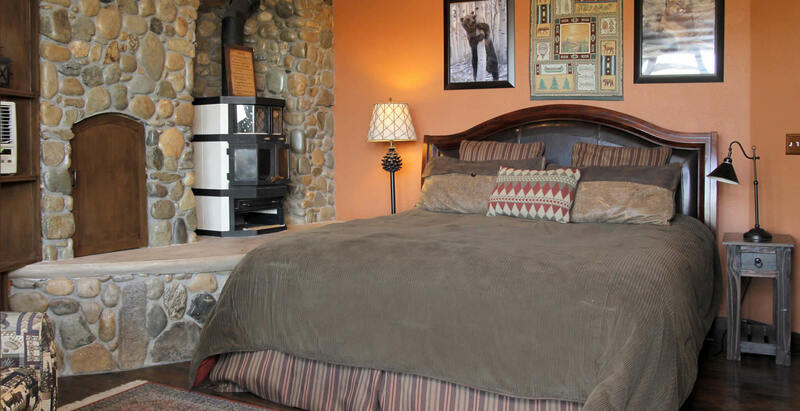 This cozy room’s décor is Tahoe-Styled with a floor to ceiling rock fire place and wood ceiling. 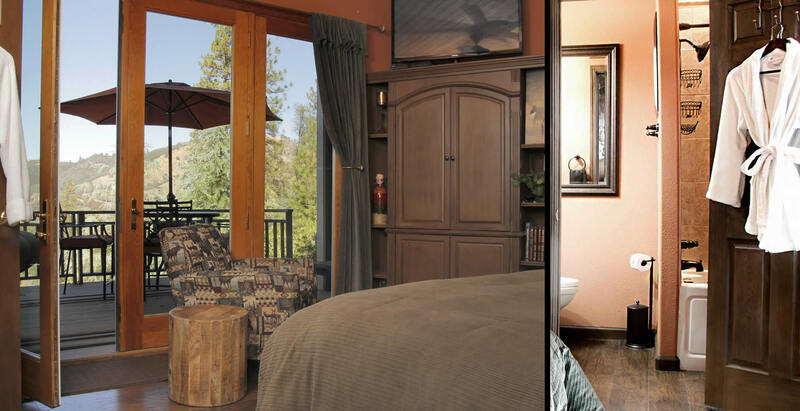 From the king size bed you can see the Coloma Lotus Valley and American River through four floor-to-ceiling windows on the East side of the room. The bathroom has a relaxing Jacuzzi tub for one. The covered deck has an overstuffed lounge chair and highrise table and 4 chairs that overlook our beach, waterfall, and rock lagoon. 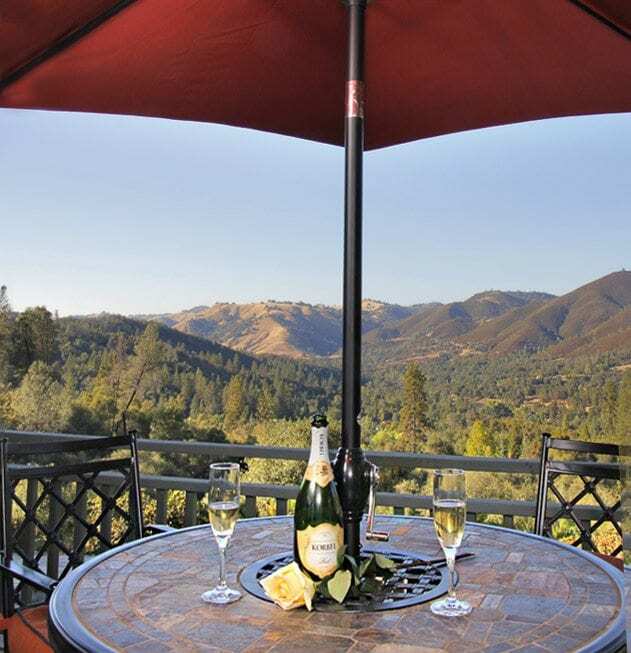 The perfect spot to relax with a good book or glass of wine.